A Result Not Even Close To Its Name…. This is the case for the overall grade earned by the A train in its “2007 Rider Report Card”. The A train earned a C- from the 6,703 people who filled out the report card. If I am not mistaken this is the highest amount of responses received so far which is somewhat surprising as I expected that status to go to either the 4 or 6 train respectively. Anyhow lets go straight to the full breakdown shall we. I will start off by saying the biggest shocker to me was the A earning a C-. I really expected it to either get the same grade as the C train or get the first F. As far as the F grade is concerned, that might be reserved for the G train. I can not wait to see the results for the G’s rider report card. However let me not digress so lets get back to the A train. 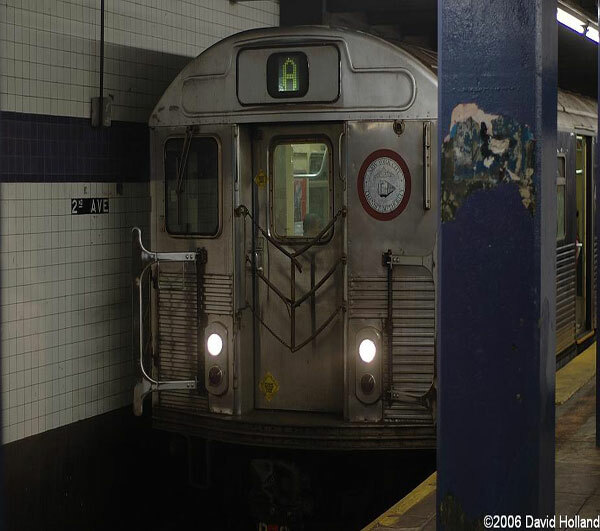 The A like its fellow Eighth Avenue counterpart is a line that takes ages to go from one end to another & has its share of problems that give its riders nightmares. While the A serves as the Eight Avenue express traveling from 207th St./Inwood to multiple terminals including Far Rockaway, Lefferts Blvd./Ozone Park, & Rockaway Park, it does not give you the fast ride one might think. The line has sub par speed in between 125th St & 59th St Columbus Circle. The speed improves on the Brooklyn express run but many times that is short lived due to some sort of delay. From my experience riding the A, the typical tendencies for it were long wait times, train bunching, & horrific levels of crowding. The sad part is when you would think at least one of the trains in the bunch would have fewer straphangers to then be surprised & see it is as packed as the previous ones. This occurrence is quite common for straphangers who depend on the A to get around. To be honest I am surprised that “Adequate room on board at rush hour” was not the 1st or 2nd highest priority. In my opinion this category deserved to be the highest priority although it is arguable that the top 3 are interchangeable. Looking at the full graded breakdown of all 21 categories, I can’t really see outright flaws in grading judgment. While it can be argued that the A train deserved lower grades in a few categories, the final grade is not that far from reality. As usual the A train got the free square for the “Availability of MetroCard Vending Machines”. I am starting to find that category downright comical as it seems the grade is permanently etched into the report card. As far as improvements go, I don’t know how much the MTA can do. If I am not mistaken the line is already running at capacity. If they can find a way to improve the headways on the line, it would serve as a welcome relief for those straphangers who depend on this line. Oh & if I had it my way this line would not run local at night. The ride as it normally is with its multiple express runs takes forever, so you can only imagine how horrible it is when the line has no express runs! I don’t think you could pay me to do a time chronicle on a fully local A train! There is a reason why you have not seen one of those done yet after all this time!